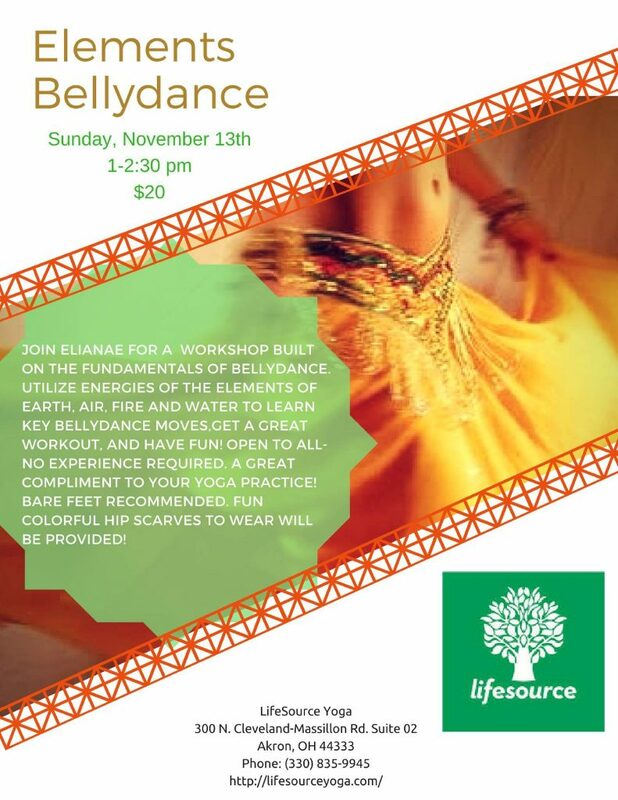 Join Elianae Stone for a workshop built on the fundamentals of bellydance. Utilize energies of the elements of earth, air, fire, and water to learn key bellydance moves, get a great workout, and have fun! Open to all — no experience required. This is a great compliment to your yoga practice! Bare feet recommended; fun colorful hip scarves to wear will be provided! The workshop will be on November 13th from 1:00 PM – 2:30 PM, and the cost of admittance is $20. Book here or via the “Schedule” tab on lifesourceyoga.com.